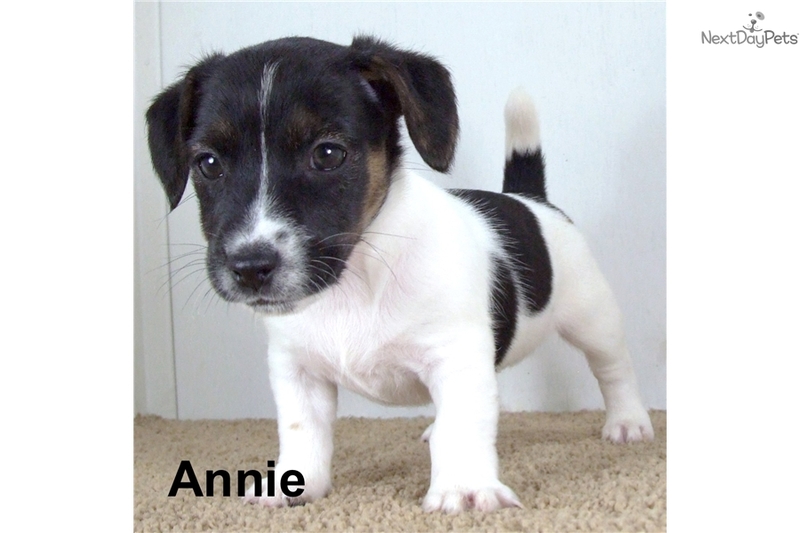 This Jack Russell Terrier nicknamed Annie sold and went to a new family. 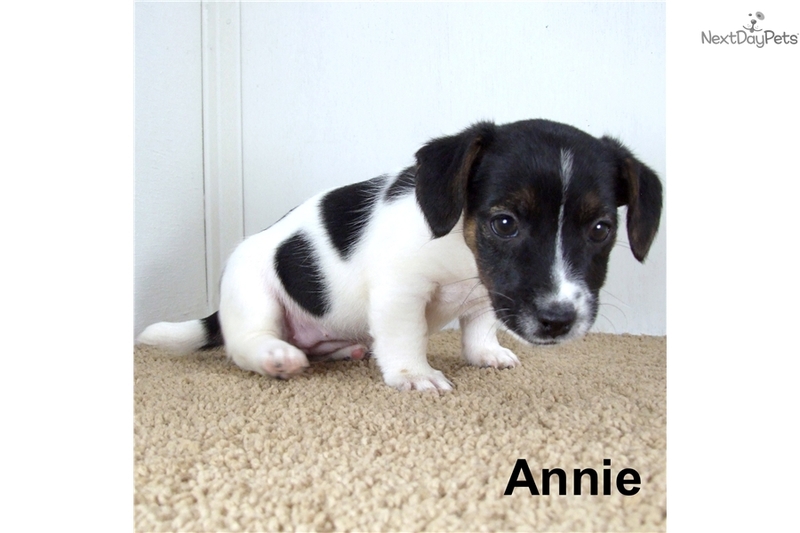 Check out our website to see a short video of the puppies! Thank you for considering our puppy! 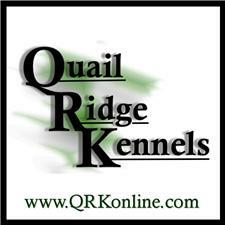 Quail Ridge Kennels is located in the beautiful Ozark Mountains River Valley in Arkansas. Visitors are Welcome! 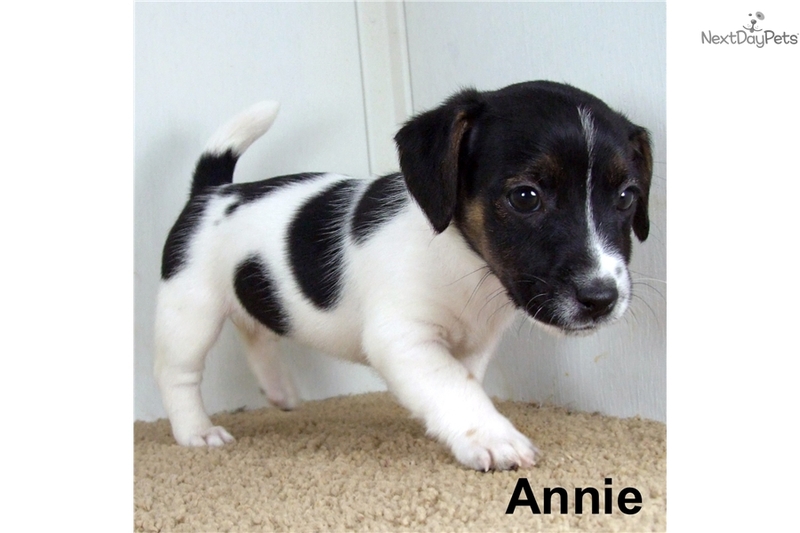 Click on our website link below to: 1) Become better acquainted with our puppies by viewing our Puppy Video Clips online. 2) Our adults and their pedigrees are posted for you to see. 3) Tour Quail Ridge Kennels online. 4) Review our Replacement Health Warranty and the details of our Payment Plan. 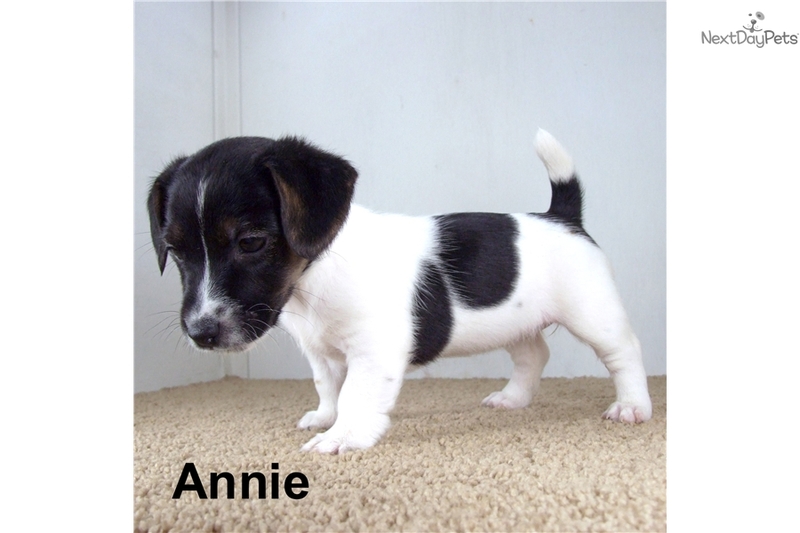 5) Find tips on purchasing a puppy online. 6) Visit the fine dogs who proudly call this kennel home. 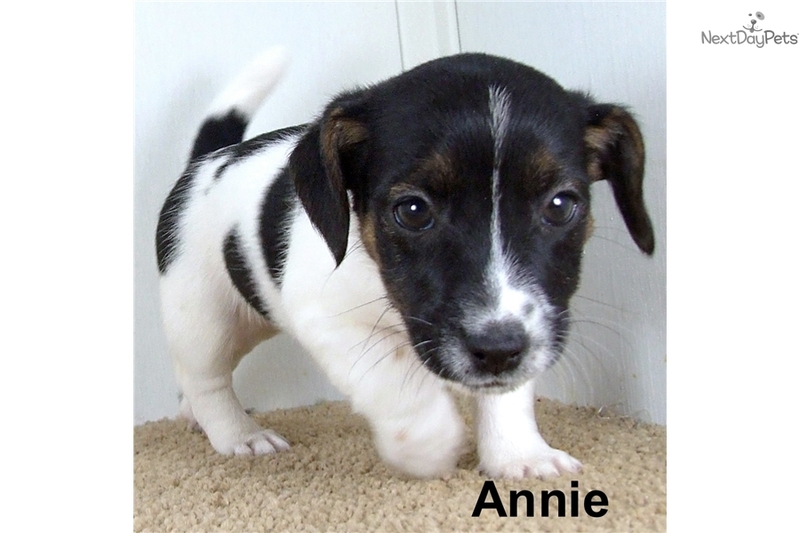 7) Scroll through our Photo Album of Puppies Past and read all the wonderful words written by their new families. Every QRK puppy receives preventive vaccinations, de-wormings and is micro chipped. Each puppy is properly weaned from its mother and is being fed a high quality puppy food. Please read the details of our Replacement Health Warranty. 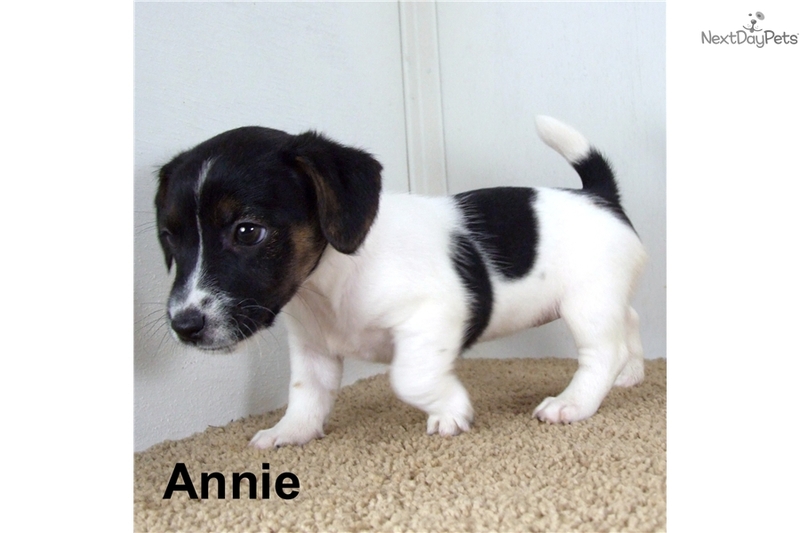 Our flexible payment plan is designed to provide our customers the opportunity to purchase the puppy of their choosing. You can check your balance anytime online. Quietly view our new puppies in the Nursery. 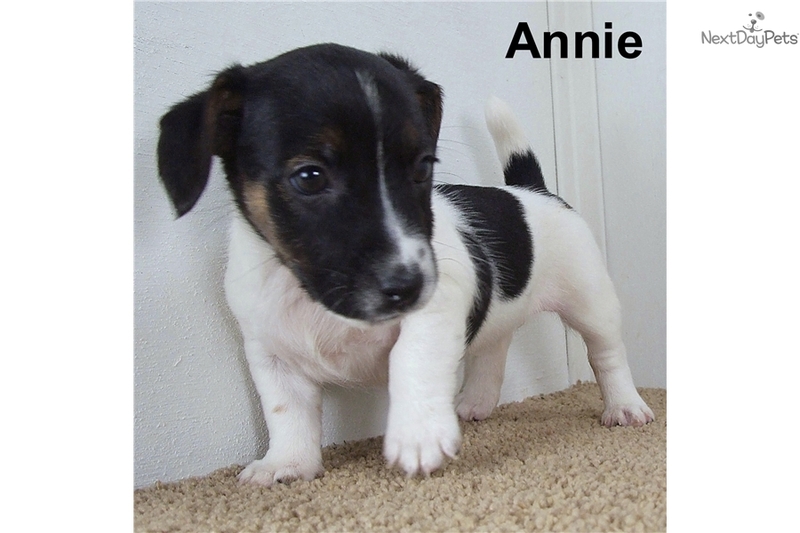 We have proudly posted the pictures and pedigrees of our adult Jack Russell Terriers. Meet the QRK family and stroll with us down Memory Lane and scroll through our Photo Album of our Puppies Past. Read the words written by their new families. Protecting our puppies and our customers is of great concern. We respectfully ask that you strongly consider this lifetime commitment before purchasing any new puppy. Please educate yourself on the breed you have chosen. All breeds are not suitable for all lifestyles and environments. 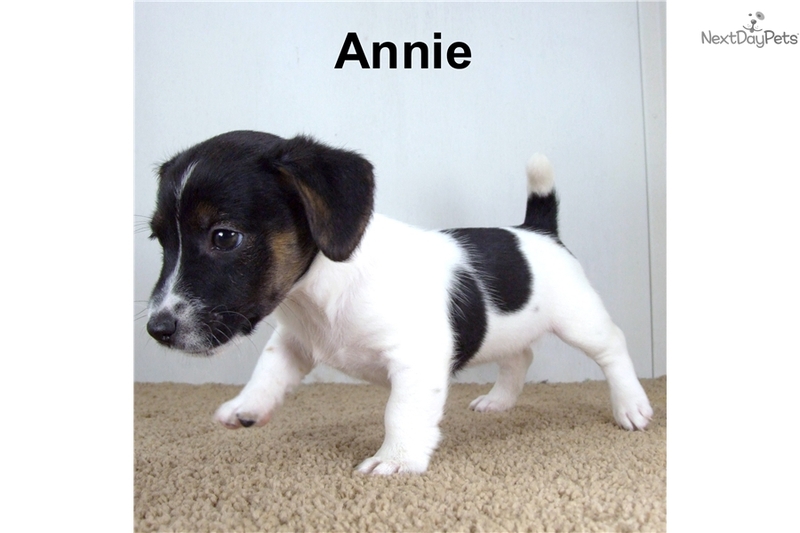 Follow a few simple tips before purchasing any new puppy online to insure your puppy was raised by a professional, caring, competent breeder.